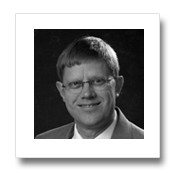 Mr. Klinge has 40 years’ experience in community development, manufacturing and sales. He has been involved in business valuations, business sales and mergers & acquisitions for the past twenty years and has assisted Sell-side and Buy-side clients in manufacturing, distribution, service, retail, transportation, computer software, commercial printing and food processing. Mr. Klinge joined EBIT Associates, Ltd. in the spring of 2011. Before that he was President and founder of The Lincoln Group, Inc. a business intermediary firm located in Northeast Iowa. The business has been providing business consulting and business transfer services to privately-held companies since 1996. Prior to founding The Lincoln Group, Mr. Klinge was involved in community and industrial development as Executive Director of the Waverly Chamber of Commerce. He has also been involved in three business startups in manufacturing, computer software and retail clothing, and served as Midwest Marketing Director for EDT Corporation, a manufacturer of bearings for harsh environments and V.P. Marketing for Tolemac, Inc. a developer of administrative software for higher education.